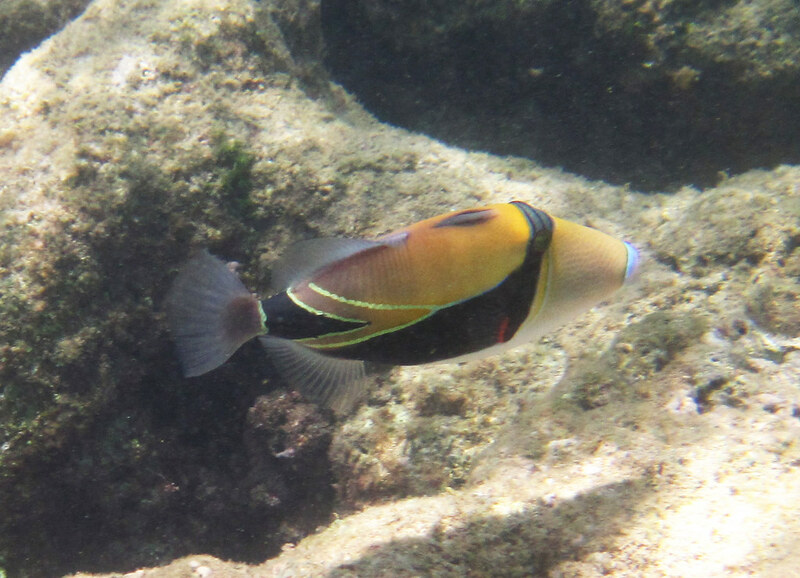 The reef triggerfish, (humuhumunukunukuapuaʻa) is Hawaii’s official state fish. Enjoy this gallery of beautiful pictures and images of the colorful ocean species. 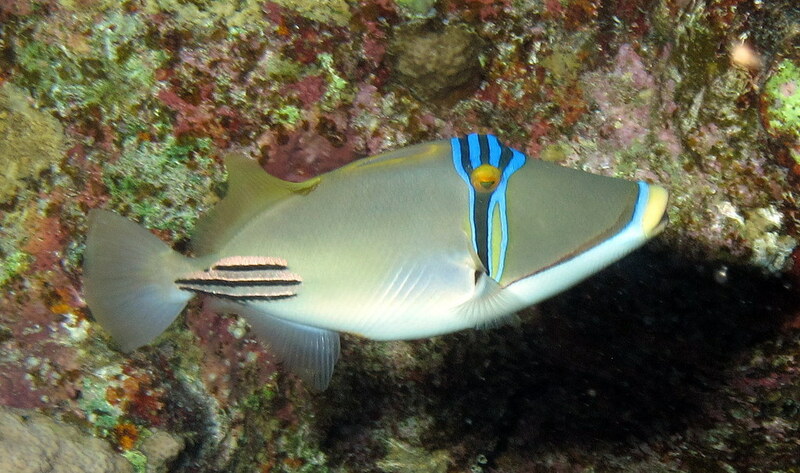 The reef triggerfish is colorful and beautiful. Just don’t get too close to its teeth. It has extremely strong jaws. 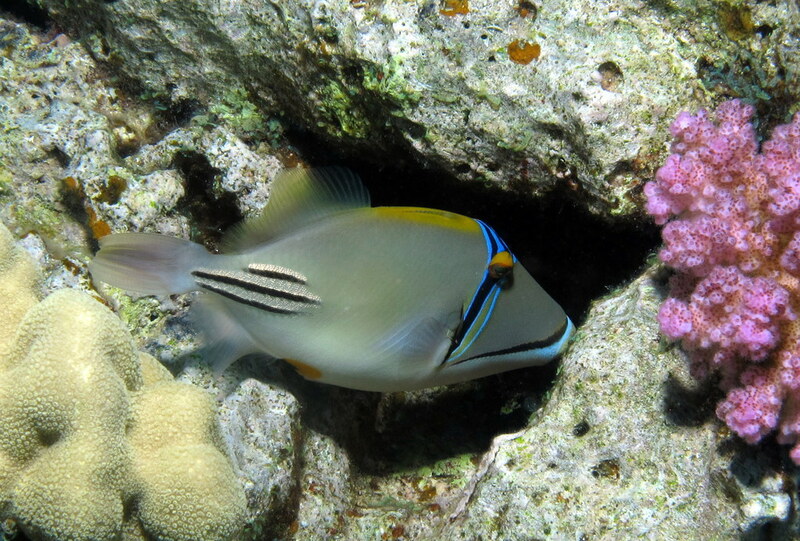 This is just one of several different species of triggerfish. It is classified as Rhinecanthus rectangulus and can be found in various locations across the central and southern Pacific Ocean islands, and Indian Ocean. 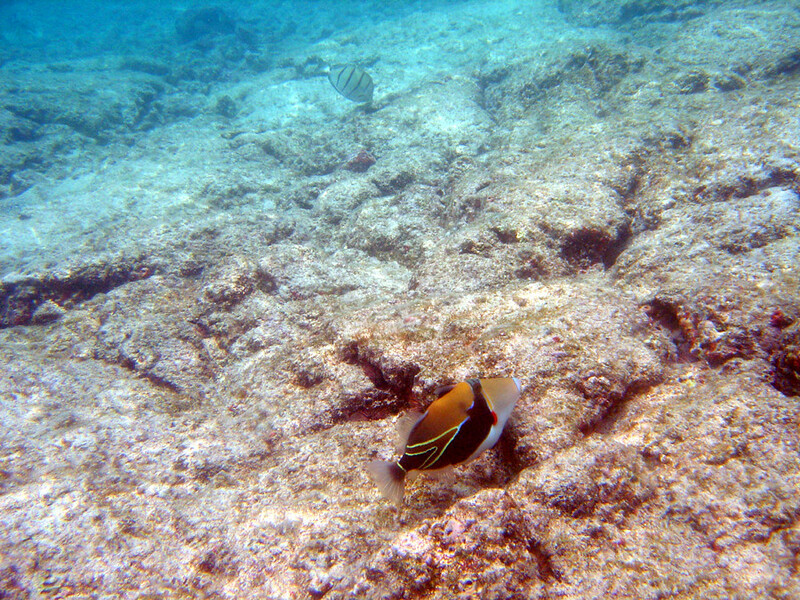 Snorklers in the Hawaiian may be treated to wonderful views of various types of fishes including the Humuhumunukunukuapua’a. Just do not get to close. Looking for a tight crevice to hide among the coral reef. One interesting fact, this wedge tailed trigger fish is called humuhumu for short, in Hawaii, which means “triggerfish with a snout like a pig”. This toothy critter is colorful and fun to watch in the wild. Here are some cool facts you may find interesting. I love the bright colors and stripe designs across the fish’s body. Video: When Humuhumunukunukuapua’a Attack: Don’t Annoy the Hawaiian Reef Triggerfish! Be careful when approaching this reef fish, it may come at you quickly to investigate what is encroaching upon its environment. They are fun to watch. Just respect them with a comfortable distance. You may not want the humuhumu to charge you with their full mouth of teeth. 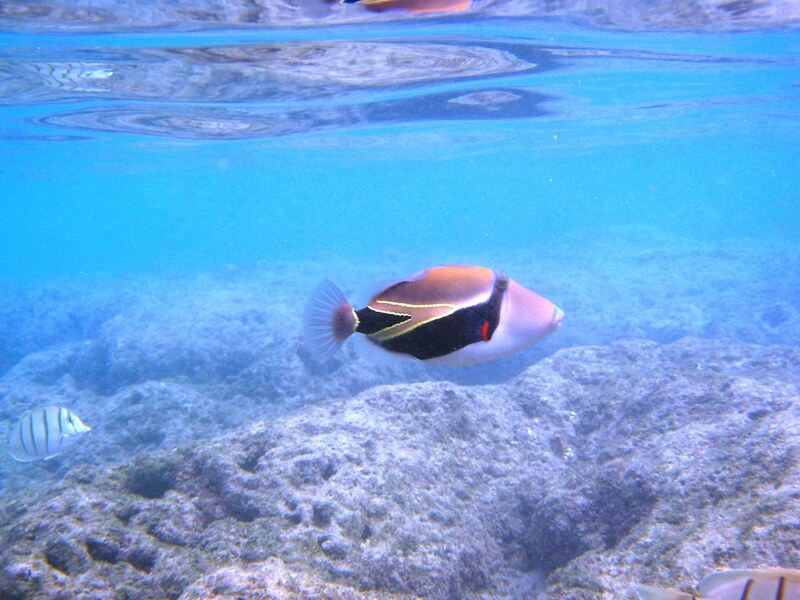 Shallow water snorkeling and free swimming is a great way to view and mingle with this Hawaiian State Fish. The water is not very deep. It is loaded with various kinds of reef fishes. If you get the chance to visit the Hawaiian Islands or other ocean locales that are home to this colorful reef fish, take the time to swim amongst them and enjoy. The beauty of nature never ceases to amaze. If you get the chance to see one up close, give it a go.